It’s been a little while since our last posting, mostly due to the craziness of the fall season and our renovation of the new space (more info coming about that soon!). So now we find ourselves in the midst of the Holiday season with everything merry and bright, and an excuse to max out the credit card. Ok, ok, don’t do that, but if you just have to, come and do it here at z|modern!! We strive to offer our customers the highest forms of design in the Denver area, and we work hard to bring you quality items that are second to none on the market. Whether it’s Colorado historic art, furnishings, or lighting, we at z| do our best to find you the best of the best. And with that in mind, we have stocked the store with some of the best vintage Aluminum Christmas trees we could get our hands on. Aluminum Christmas trees? Did you just read that right? 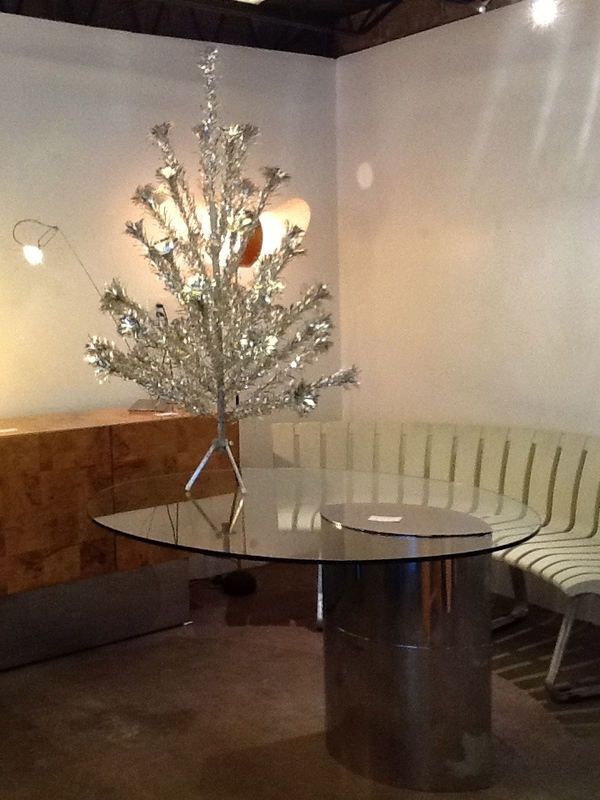 Yes, we have many sizes and shapes to illuminate your holidays with shiny boughs of twinkle. Tacky you say? Perhaps, but when you consider the history of the Aluminum Tree, you too will be a convert. 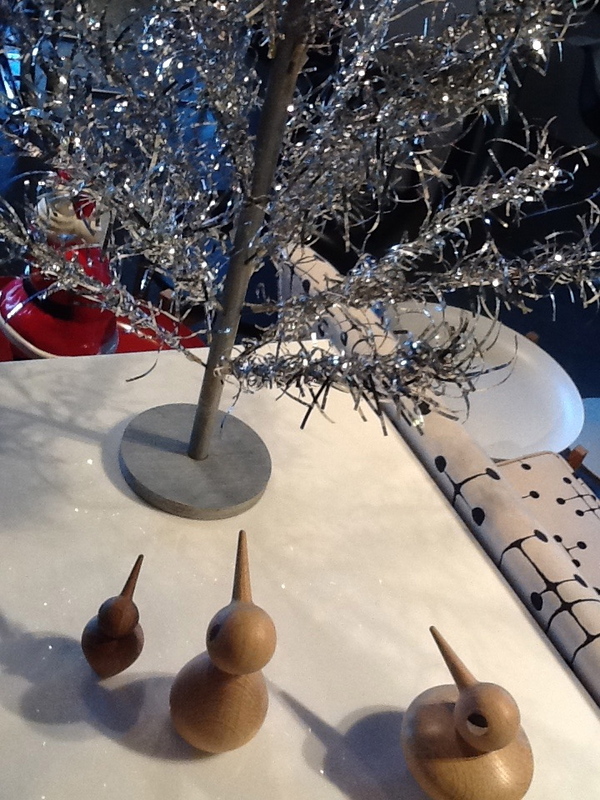 It was 50 years ago when a sales manager for an aluminum cookware company saw a hand-made aluminum Christmas tree. He took the idea back to his company, and in 1959, America saw the first commercial aluminum Christmas tree. It was not billed as an artificial tree but instead was called a ”permanent” tree. Some people immediately embraced the new space age tree. Conservation of real trees was not a consideration, but the chance to have a new modern interpretation of an ornamental tree inspired some and dismayed others. Artificial trees of various kinds had been available in earlier years. There was even a base-metal tree available in 1950 along with feather trees and visca (straw-like rayon) trees in green or white. Aluminum trees were first manufactured by the Aluminum Specialty Company in Manitowoc, Wis. It is estimated that this company made more than four million trees in a 10-year period. ”Shredded” aluminum strips were wrapped by hand around the wire branch and then fluffed to spread out the aluminum needles. Each branch was then packed in a cardboard sleeve. Any branch could be put in any one of the holes in the pole that was the trunk because the branches were all the same length. This made the tree easy to assemble. The correct shape was attained because the holes in the pole that formed the trunk were drilled at different angles. The first trees had a folding tripod base to hold the tree trunk. Later, other stands became available that rotated the tree and played music. It was recommended that electric lights should not be put on the trees because of the possibility of an electric shock. 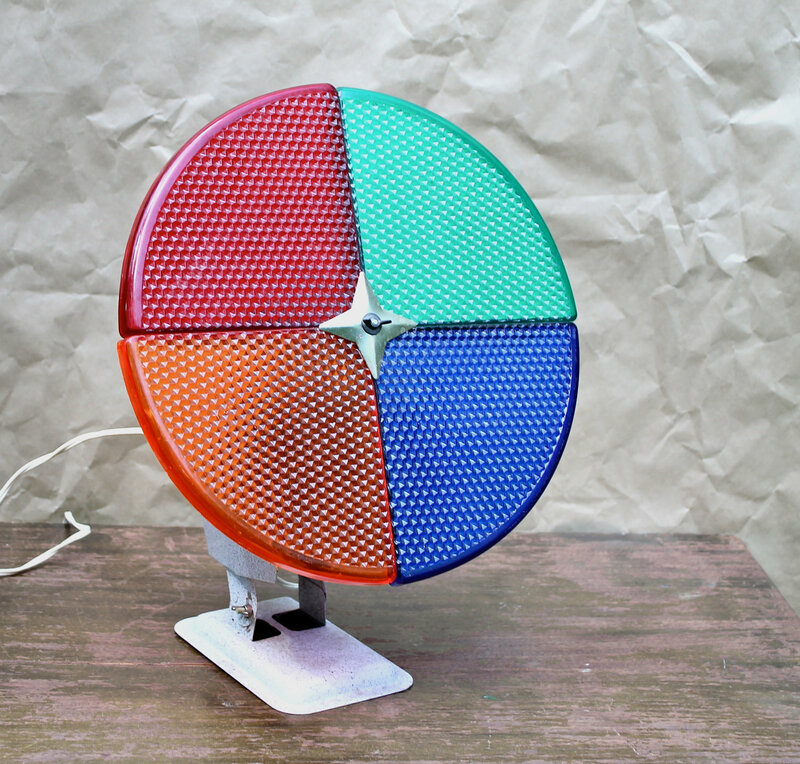 Color wheels, which had earlier been used to decorate in other ways, were used to illuminate the aluminum trees with different colors as the wheel with four or five colored transparent sections rotated past the light source. The branches were not strong enough to carry many ornaments. Usually the decorations on the trees were only glass balls and often of only one color. 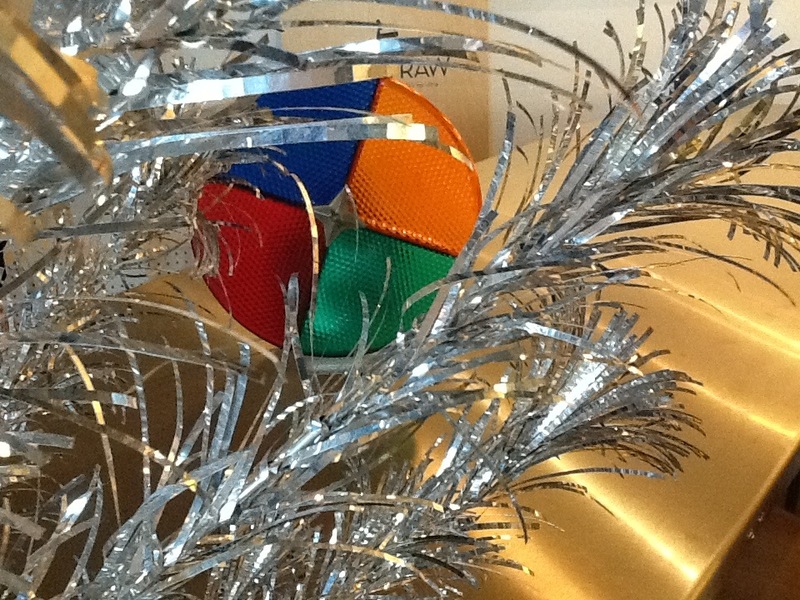 Eventually many other companies manufactured their own version of an aluminum Christmas tree. Some later models had pompom ends on the branches to make the tree look fuller. Colors were introduced – gold, blue, green and even pink. Some models were only one foot high, while the tallest were seven feet. The more expensive models had more branches. Even half trees were made to put on the wall in small areas or an office. 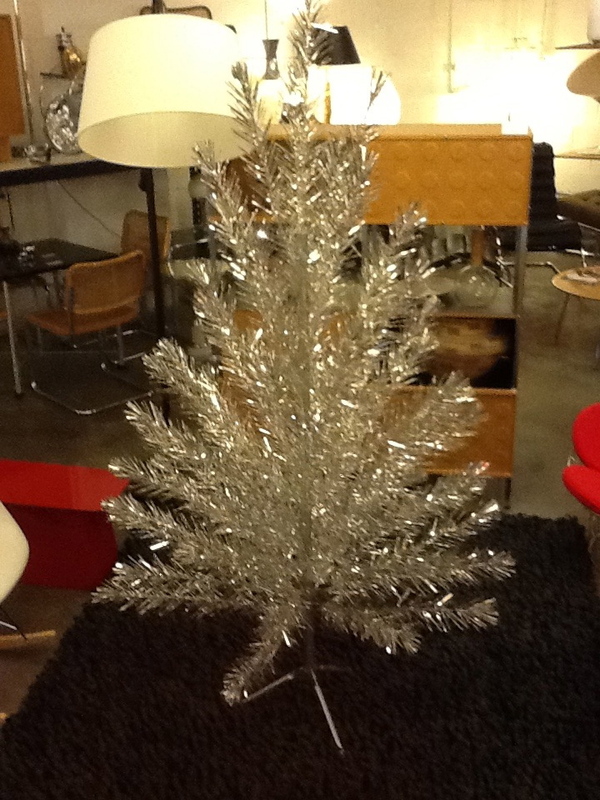 The interest in aluminum trees peaked about 1965 and by the end of the 1960s few were being manufactured. So as you can see, the previous generation had a little “conservation” thing going long before it was considered necessary or even “in vogue” to do so! Not only are these stylish trees minimalistic in their presentation, but by purchasing one of these highly collectable beauties you are saving a real tree from an untimely demise. Form and function come together yet again at z|!